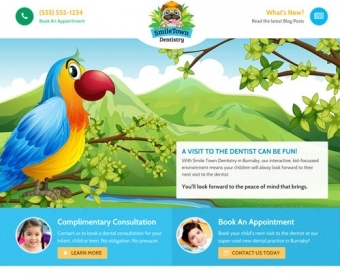 The SmileTown Dentistry Burnaby Team is excited to welcome you to our kid-friendly practice! Here at SmileTown, we know that visiting the dentist can sometimes be stressful, or even a little scary, for children. We also know how important positive early experiences in the dentist’s chair are for life-long oral health. After all, children who are comfortable visiting the dentist are more likely to grow up into adults who are comfortable visiting the dentist! That’s why we’ve built the SmileTown Dentistry practice around the needs of children. Our waiting room is full of fun toys, books and activities to help keep kids busy and occupied while they wait. Our friendly, approachable Burnaby children's dentists has lots of experience working with kids, and know how to provide expert care with a gentle touch that makes children feel at ease. It's important for kids to take an active role in their oral health, so we'll carefully teach them the skills they need to maintain their healthy smiles at home. And, we make sure that parents have all the knowledge and tools they need to support their children in keeping those smiles healthy, too. At SmileTown Dentistry, we love sending our patients home happy, and feeling good about their oral health care. We look forward to seeing you at our office soon!